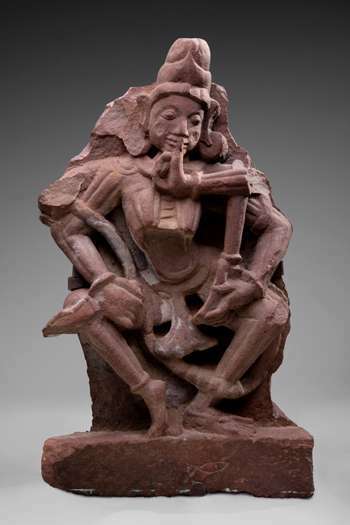 Sculpture is an essential part of Indian civilization; a culture that dates back to ancient times and has flourished uninterrupted to the present. 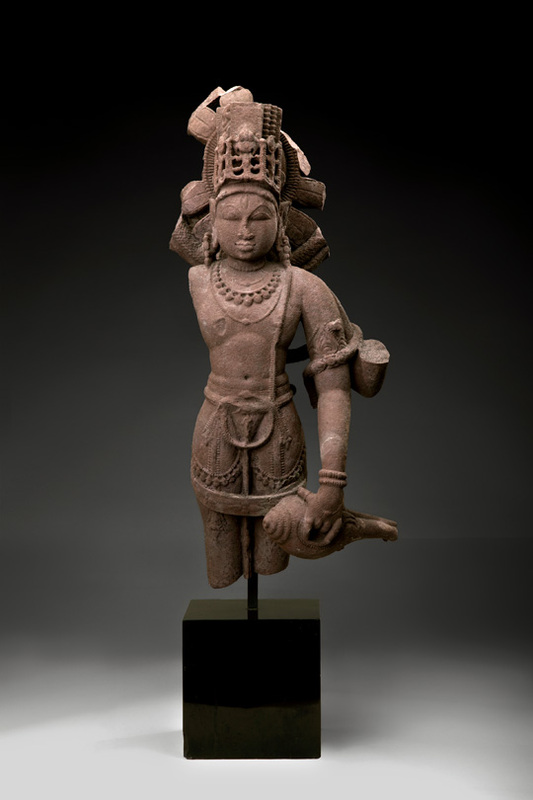 It is fundamentally important to India’s nearly one billion Hindu adherents. Consecrated images and forms of the divine serve as the focal point for devotees to worship, meditate on, or otherwise communicate with Hinduism’s innumerable deities and demigods. Many Hindus believe all are manifestations of one supreme, transcendent force or power. 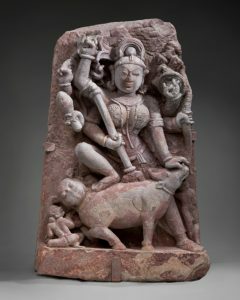 Brahma the creator, Vishnu the preserver, Shiva the rejuvenator, and the Great Goddess in various forms affect the universe’s endless cycles of creation, preservation, and dissolution. They preside over a complex and expansive pantheon of consorts, incarnations, lesser gods, and localized deities and heroes. There is no static hierarchy; different deities have been considered more important in different regions and at different periods. 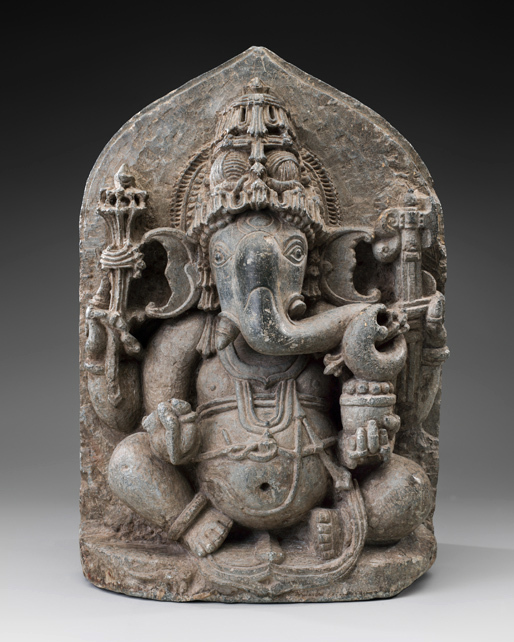 For most Hindus, one deity is the most powerful and is the primary focus of an individual’s worship. Images of deities are used in private shrines by individuals or families, at grand festivals attended by millions of adherents, and in India’s hundreds of thousands of Hindu temples. 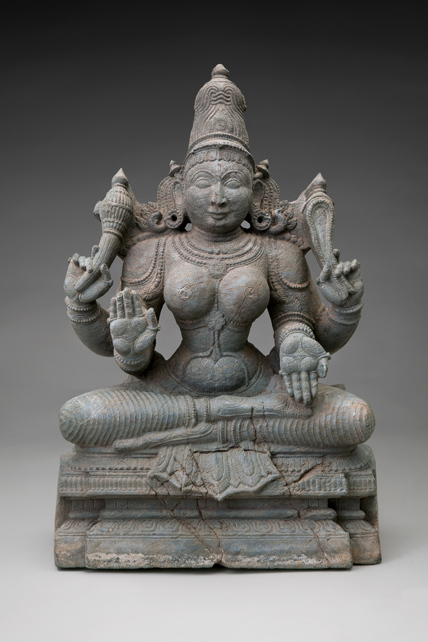 Hindu temple sculptures are not mere adornment, they are fundamentally important to the temple’s form and meaning. They frequently have an organic presence, emerging in recesses and chambers from the body of the temple itself. 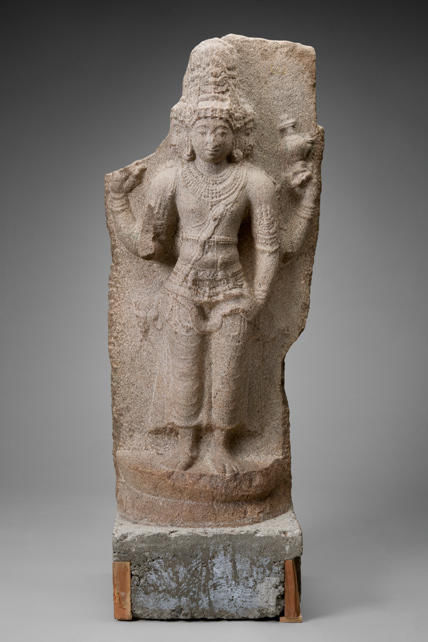 In larger structures, deities typically occupy elevated locations, arranged in relief panels and as freestanding sculptures. 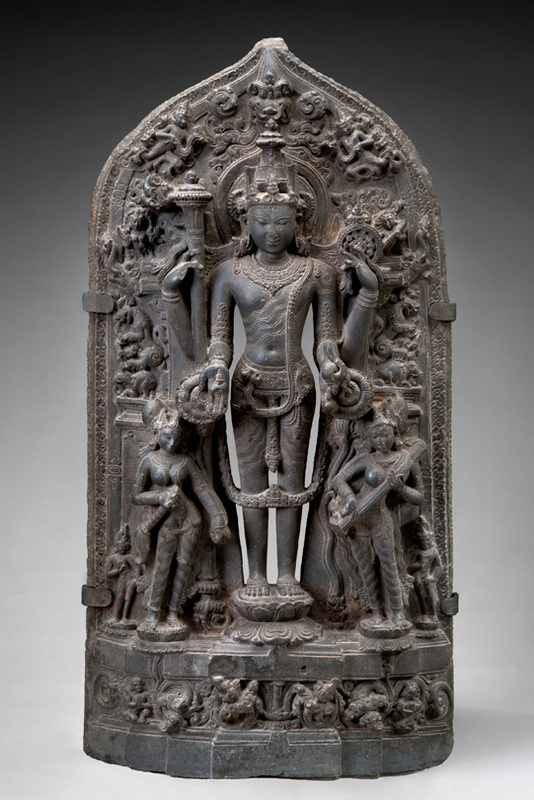 Each temple is dedicated to a primary or presiding deity, whose image is housed in the temple’s inner sanctum. 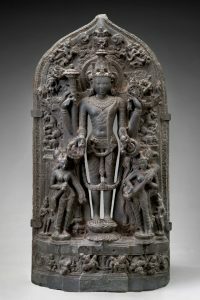 Worshipers visit this deity to take darshan—receiving blessing by meeting the gaze of the deity—and to bring symbolic offerings of fruit, sweets, flowers, or other gifts representing the devotion and Shraddha of person. The proportions of the images’ bodies and faces usually follow Āgama rules and standards established many centuries ago. 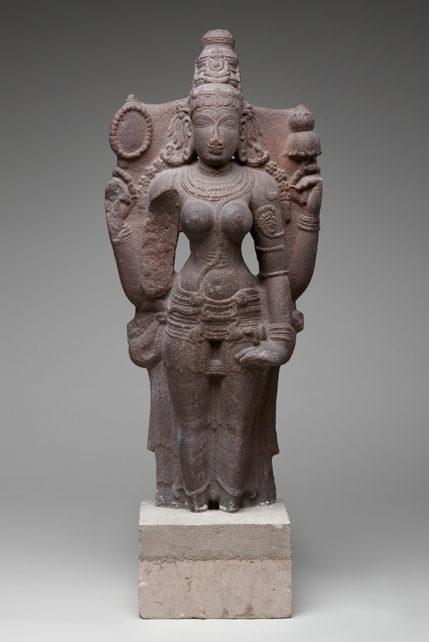 Most deities are supremely beautiful; sculptured figures, with their shapely bodies and fine facial features for both female and male beings, reflect this beauty. 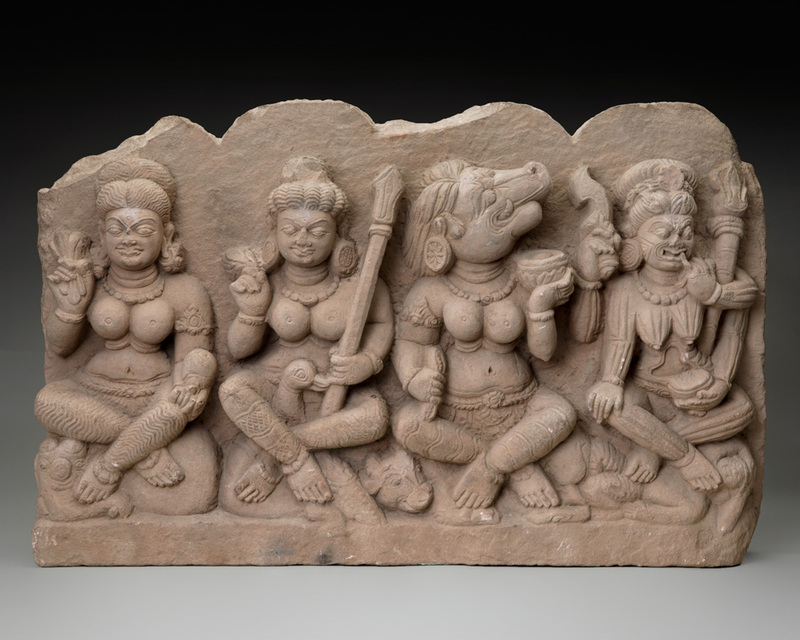 Images are made to imitate or recreate reality; they are produced as Visualized forms (form that rishi, saints or devotee see in Samādhi state) with well-understood symbolism indicating the unlimited powers of the divine. 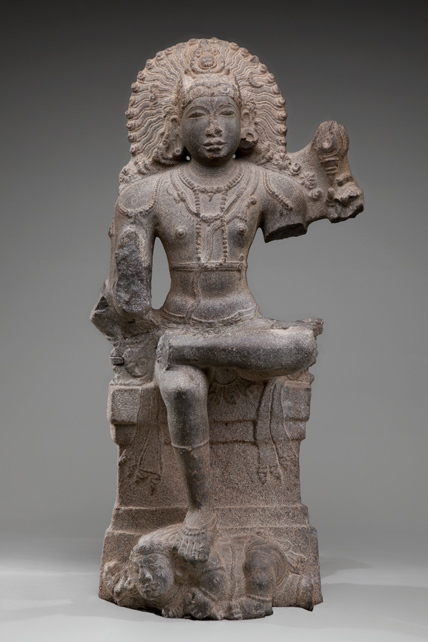 Vishnu, who has four arms signifying his multiple powers, nearly always carries a Chakrā weapon and conch shell, and wears royal garments. Shiva is often presented wearing kaupinam and twined with snakes, with his matted hair piled on top of his head like an ascetic. 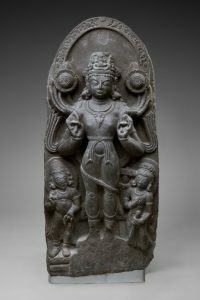 However, because Vishnu, Shiva, and the Great Goddess are shown in various forms and in various episodes of their Leelās, and dozens of other deities also have specific forms and characteristics, identifying them may be as challenging for non-Hindus. 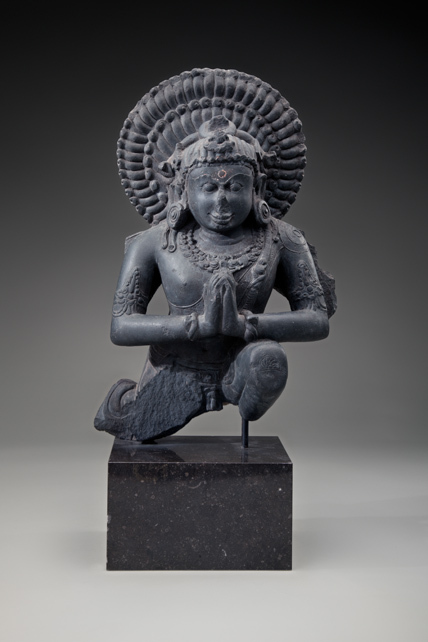 These Hindu sculptures from the collections of the Asian Art Museum, San Francisco, are profound expressions of veneration from the world’s oldest living religion. The exhibited objects range from seventh- and eighth-century temple images carved from stone to elaborately rendered wooden sculptures made more than one thousand years later for use in religious processions. All reflect the divine, here on earth and throughout the universe, in its many manifestations.